Have you heard about the newest Facebook trend yet? Casino game platforms have become big business on Facebook, and every time you turn around a new casino or game application has popped up. The types of casino games that are offered vary from application to application but often include games such as facebook slots, facebook poker, facebook roulette, facebook bingo, facebook blackjack, tournaments, video poker, and Texas Hold’em. Some of you may be wondering if online gambling is illegal in the United States how you can gamble on Facebook. There is no actual money involved in Facebook casinos. Instead of real money, you are playing for credits or play money with no actual cash value assigned to it. Most of the Facebook casinos will give you a certain amount of money or chips for signing up to play their games. After that you will receive additional cash or credits each day when you log in to play again. If you run out of money or credits and you want to continue playing you can either earn or buy more credits. In order to earn more playing credits you can complete offers or surveys, or you can download apps for your phone. There are many different kinds of offers that you can complete such as signing up for a Netflix subscription or joining the Disney movie club. You can also purchase products from specific vendors to earn credits. There are quite a few surveys that you can complete to earn more credits, and there is a section for local deals in your area. The local deals will frequently be offers from websites like Groupon.com. The apps that you can download for credits are for iPhones and android phones. 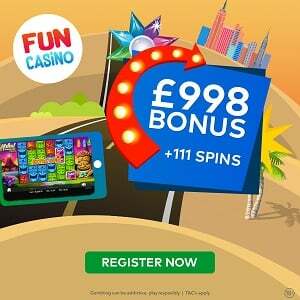 There are currently 199 offers for you to choose from in order to earn playing credits. If completing offers is not something that interests you then you can just buy credits on Facebook. The amount of credits you receive and how much you have to spend to get them varies for each game application. Different applications will accept different forms of payment, and if you buy the credits directly from Facebook you can pay through Paypal, most major credit cards, or through your mobile phone. Some casino game applications will allow you to gift your friends with coins or credits. Many of these applications will also reward you with more coins or bonus credits for getting your friends to join their application, and for “liking” their application homepage. Many casino game applications will allow you to play games like poker with the friends that you specify as long as you have all downloaded the same game application. Recently more brick and mortar casinos have been purchasing already developed gaming platforms and developing their own gaming applications as well. Caesars casino is one example of a brick and mortar business making the leap to social casino gaming. When you download the Caesars app on Facebook you are given $1,000 worth of coins, and you receive bonus coins every fifteen minutes. If you run out of coins and want to continue playing games you can either complete offers or you can buy more coins. You can spend as little as $5 and receive 20,000 coins or you can spend as much as $200 for 4,000,000 coins plus a bonus. With your bonus the total number of coins you receive is 5,200,000 coins. You receive bonus coins for all purchases of $50 or more. Even though you are not allowed to gamble for real money on Facebook, apps like Caesars will reward you for buying credits. You earn rewards credits each time you buy coins as part of their Total Rewards program. You are then able to use your Total Rewards points for dinners, shows, and merchandise at any Total Rewards casino. You can expect that more casinos will develop similar rewards programs for their online players. Facebook casino gambling applications have become a very big business that is growing at an incredible rate. Some businesses are willing to spend millions of dollars to buy the most popular gaming applications. Even the applications that have been around awhile are experiencing an amazing growth in the number of daily players they see. 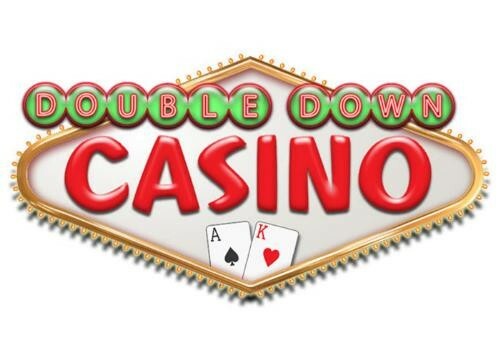 Recent reports also suggest that those players are spending more time each day playing their casino games. Gambling for real money is currently illegal in the United States, however, a recent United States Justice Department ruling has opened the door to legalized online gambling. The Justice Department is quietly giving the nod to state’s with lotteries that they “could” legalize some forms of gambling online. Online casino gambling for real money may still be a little way off, but brick and mortar casinos and state lottery programs are both working to form legislation to get new laws on the books. Online gambling for money in the United States has become more an issue of when it will become legal rather than if it will be legalized. In part the legislation has been slowed because it is not clear who should be in charge of gambling regulations. Should there just be federal laws regulating online gambling or should each of the fifty states be responsible for developing their own laws? Brick and mortar casinos in casino towns like Las Vegas and Atlantic city would of course prefer federal laws instead of having to pay lobbyists in each of the fifty states. Facebook casino gambling will probably continue to grow at an enormous rate as more people realize that they are able to play their favorite games for free. The whole point of social platforms like Facebook is to encourage more social interaction with your friends. The more socially acceptable online casino gambling becomes on social networking sites such as Facebook the more likely it is that online gambling will become legal in the United States. Playing your favorite casino games on Facebook is a great way to pass a little time, and share some fun gambling action with your friends and family without spending a dime if you don’t want to.